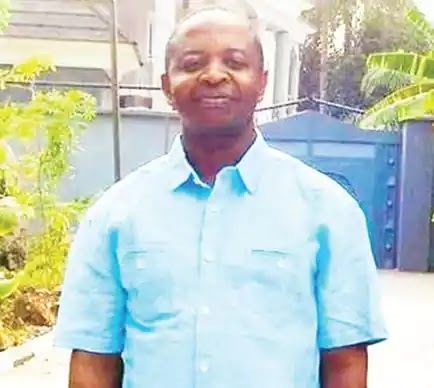 The Bishop of Orlu Catholic Diocese, family members and friends of slain Catholic Priest, Cyriacus Onunkwo, have called on security operatives and the state government to ensure that perpetrators of the crime were quickly apprehended and brought to justice. Reverend Father Onunkwo was reportedly kidnapped on Friday in Orlu Local Government Area. His body was found the following morning in Omumma community in Oru East Local Government Area of the state. He was said to have arrived from Lagos on Thursday in preparation for the burial of his father who died the previous week. Channels Television reports that the Bishop of Orlu Catholic Diocese Augustine Okwuoma described the murder as pathetic and unbelievable. Bishop Okwuoma said Father Onunkwo was amiable and loyal in his duties “which was why I sent him to Rome to further his studies and later on assignment in Lagos Catholic Diocese”. The bishop tasked security operatives with effective policing and called for the creation employment opportunities for youths to deter them from engaging in criminal activities. It also reported that at his country home in Umuotuasi village in Osina Ideato North Local Government Area of Imo State, some family members could not hold back their tears after receiving the sad news. Similarly, Fr. Onunkwo’s friends in Orlu where the priest was ordained described him as a good man loved by all. Meanwhile, the Imo State commissioner of police says the police were doing everything possible to unravel the mystery behind the killings, especially as the Inspector General of Police has ordered a full investigation into the gruesome murder.